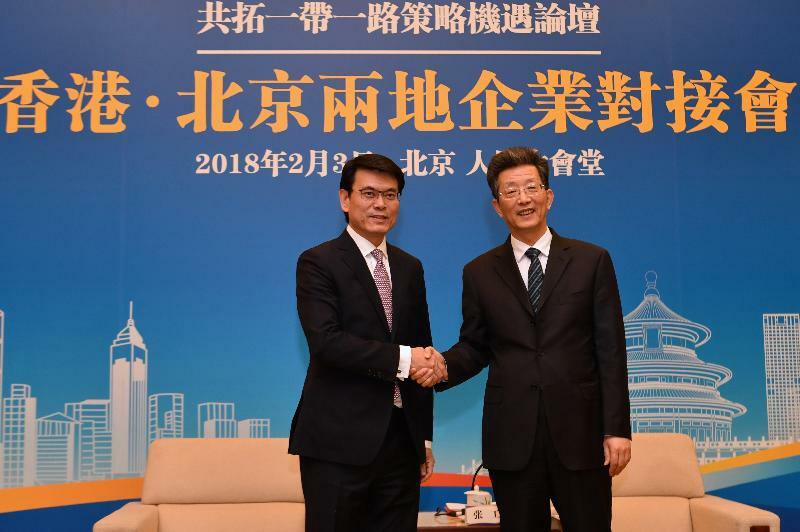 The Government of the Hong Kong Special Administrative Region (HKSAR) held a seminar entitled "Strategies and Opportunities under the Belt and Road Initiative - Leveraging Hong Kong's Advantages", Meeting the Country's Needs in conjunction with the Belt and Road General Chamber of Commerce today (February 3) at the Great Hall of the People in Beijing. 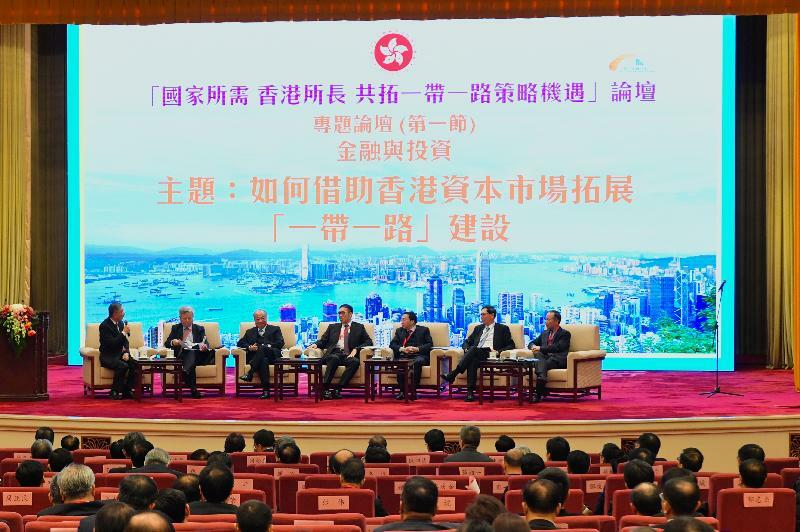 The seminar aimed to promote to the relevant Mainland ministries and state-owned enterprises (SoEs) ways to make use of Hong Kong's highly internationalised platform and distinctive edge in the areas of finance and investment, professional services, commerce and trade, and forming strategic partnerships to jointly pursue the opportunities being brought about by the Belt and Road Initiative. 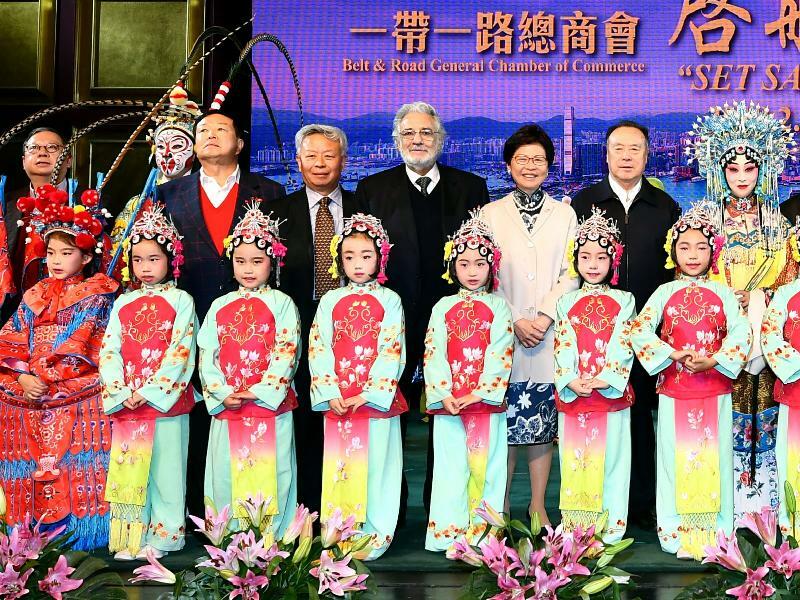 With this, Hong Kong can contribute to the implementation of the national policy of the Belt and Road Initiative by leveraging the city's advantages in meeting the country's needs. 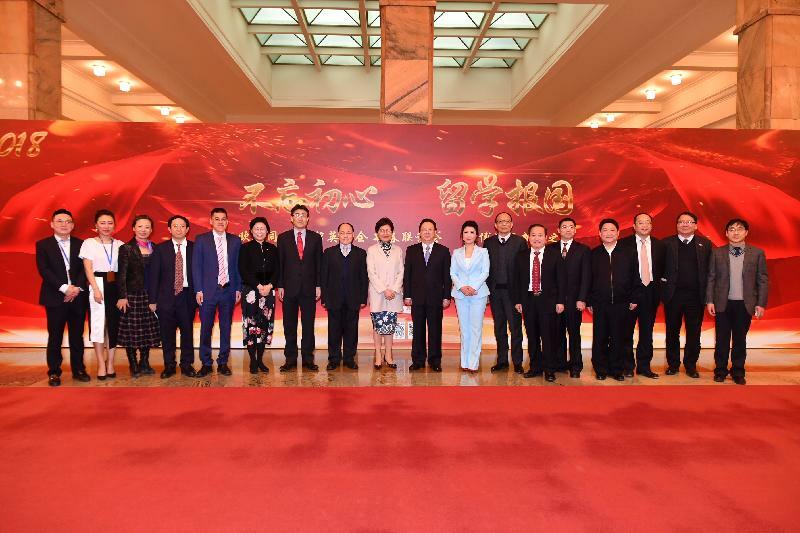 The Chairman of the Standing Committee of the National People's Congress, Mr Zhang Dejiang; State Councillors Mr Yang Jiechi and Mr Wang Yong; and the Vice Chairman of the National Committee of the Chinese People's Political Consultative Conference, Mr Chen Yuan, attended the seminar. Mr Zhang and Mr Chen delivered keynote speeches at the opening ceremony and the luncheon respectively. 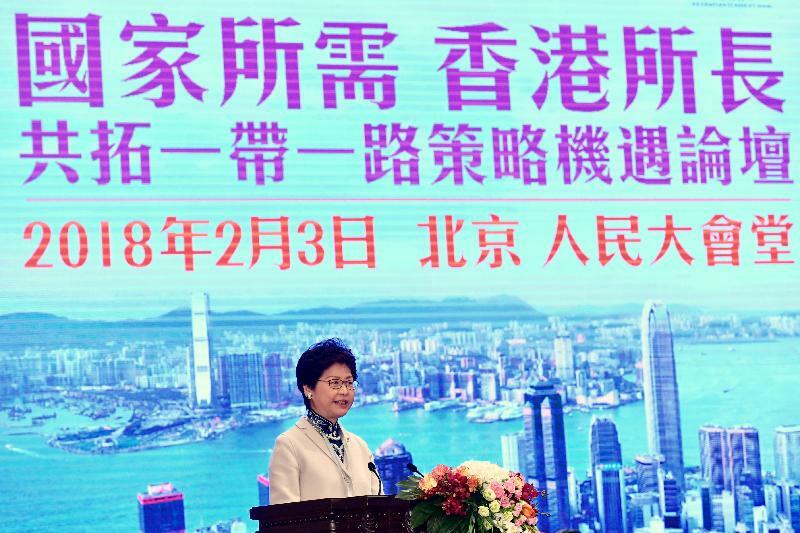 The Chief Executive, Mrs Carrie Lam, also delivered the keynote speech and closing remarks for the seminar. 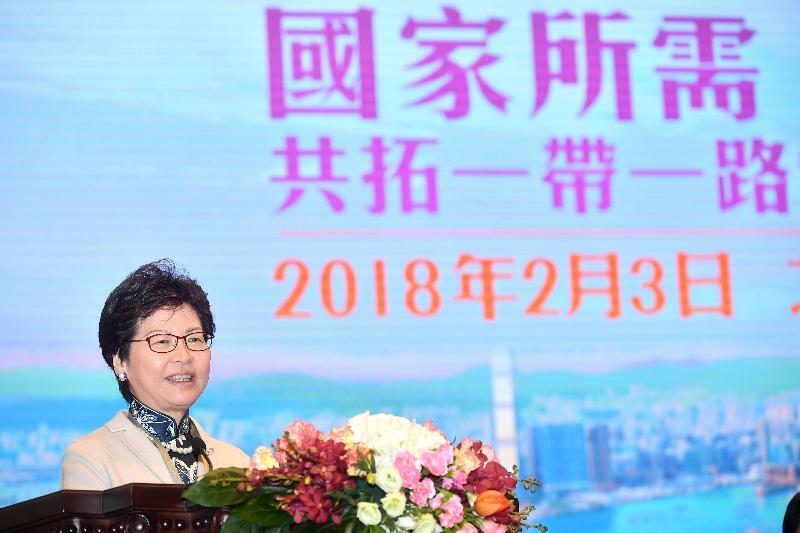 Mrs Lam said, "Hong Kong's participation in the Belt and Road Initiative is based on and guided by the principles of 'one country, two systems', and integrates with the national development strategies, focusing on development. We will leverage our advantages to meet the country's needs to contribute to its as well as our future greater development. Today's seminar centred around how Hong Kong and Mainland enterprises, in particular SoEs, can join hands to strategically pursue the opportunities brought about by the Belt and Road Initiative. This will form a useful basis for further co-operation." 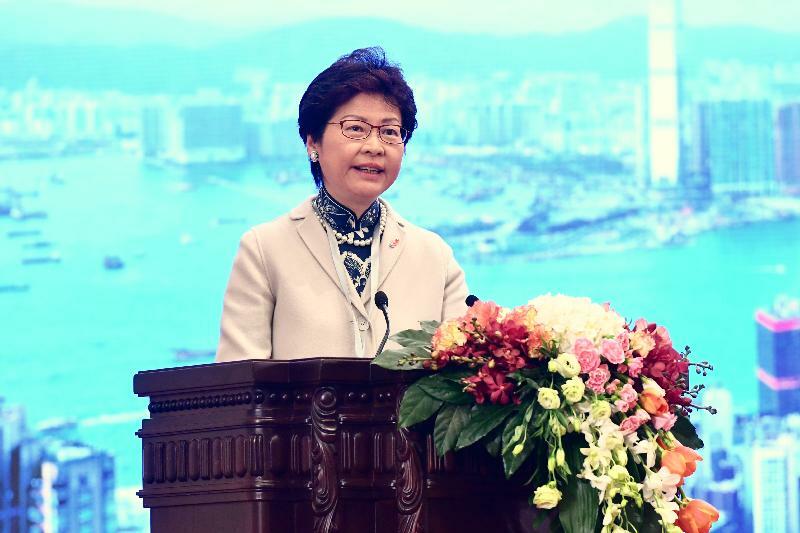 The full-day seminar was attended by around 120 representatives from the business and professional services sector in Hong Kong, and more than 380 chief executives and members of senior management from over 170 SoEs. It enabled both sides to establish direct contact and facilitated the forging of strategic partnerships in taking forward Belt and Road-related work. 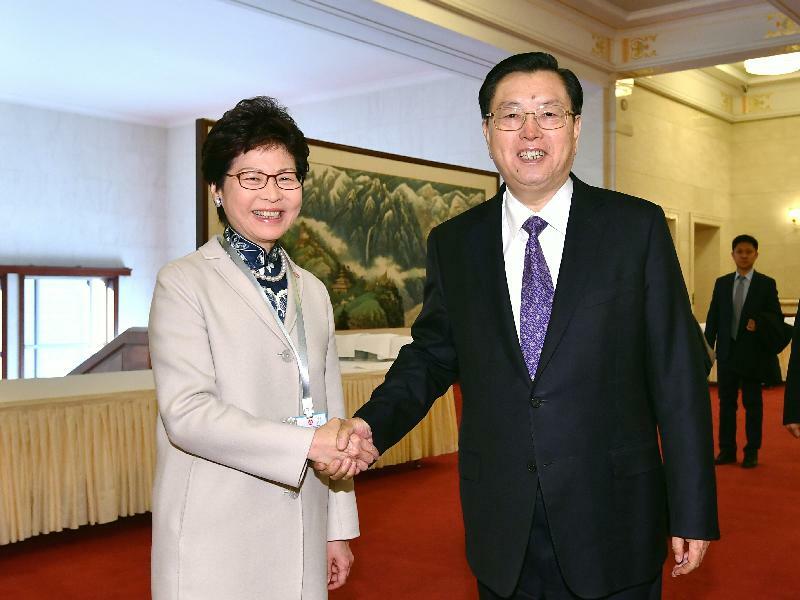 There were also in-depth discussions on how to capitalise on the distinct advantages of Hong Kong's business and professional services sectors so as to jointly promote the Initiative. The first thematic session, with a theme of "Riding on Hong Kong's capital market when taking forward the Belt and Road developments", was moderated by the Secretary for Financial Services and the Treasury, Mr James Lau. 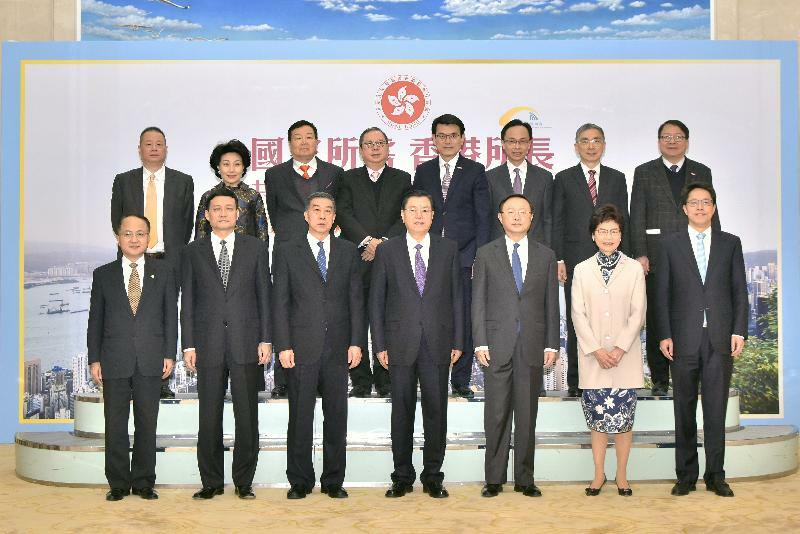 The President of the Asian Infrastructure Investment Bank, Mr Jin Liqun; the Chairman of the Hong Kong Exchanges and Clearing Limited, Mr Chow Chung-kong; the Deputy Governor of the People's Bank of China, Mr Fan Yifei; the Chairman of Bank of China, Mr Chen Siqing; the Chief Executive of the Hong Kong Monetary Authority, Mr Norman Chan; and the President of China Cinda Asset Management Co Ltd, Mr Chen Xiaozhou, were the panel speakers. They shed light on the latest developments of Hong Kong's capital market, financing channels and regulatory regimes; Hong Kong's advantages as the Belt and Road financing platform; and the present situation of SoEs' making use of this platform. 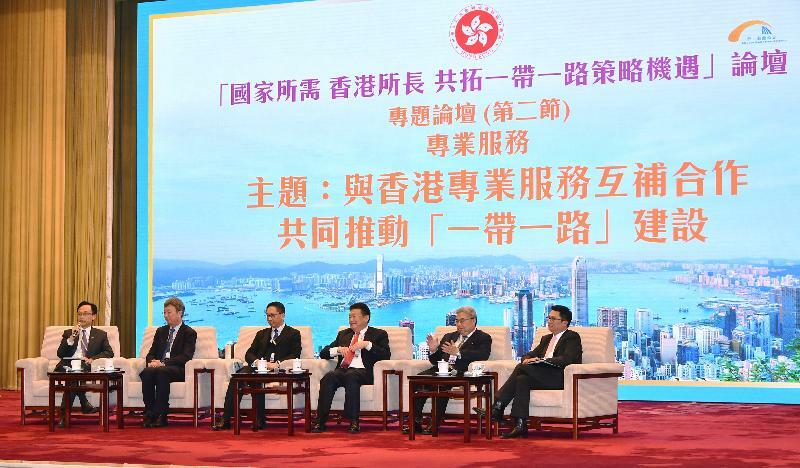 The second thematic session on "Complementary co-operation with Hong Kong's professional services" was moderated by the Secretary for Constitutional and Mainland Affairs, Mr Patrick Nip. Speakers included the Head of the National Institute of Financial Research of Tsinghua University, Mr Zhu Min; Senior Counsel Mr Rimsky Yuen; the Chairman of China Communications Construction Company Ltd, Mr Liu Qitao; the President of the Hong Kong Institute of Architects, Mr Marvin Chen; and the Chairman for PricewaterhouseCoopers in Asia Pacific and Greater China, Mr Raymund Chao. They discussed the role played by Hong Kong's architectural sector and related professions in Mainland and overseas infrastructure projects; Hong Kong's professional legal and dispute resolution (arbitration and mediation) services, which are of international standard; and the city's international professional accounting and analytic services in areas such as risk management, taxation and finance. The Secretary for Commerce and Economic Development, Mr Edward Yau, was the moderator of the last thematic session on "The integration of creative and information technology industries with pillar industries under the Belt and Road Initiative". The Chairman of the MTR Corporation, Mr Frederick Ma; the Chairman of China Travel Service (Holdings) Hong Kong Limited, Mr Wan Min; the President of the Law Society of Hong Kong, Mr Thomas So; member of the Chinese Academy of Engineering Mr Wang Chen; former Chairman of the Hong Kong Bar Association Ms Winnie Tam; and member of the Chinese Academy of Sciences Mr He Jie were the keynote speakers. 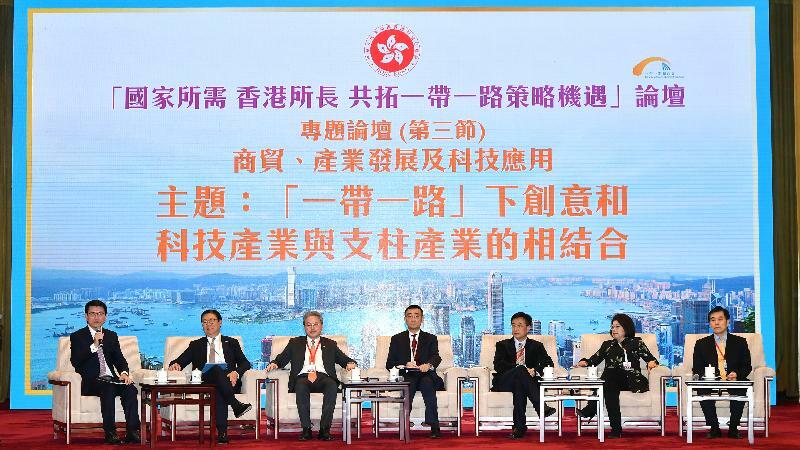 They spoke on topics including ways to assist enterprises on expanding the Belt and Road market with the use of innovation and technology, how Hong Kong and Mainland enterprises can create synergy, the role of Hong Kong's cultural and tourism industries in propelling the Belt and Road Initiative, and Hong Kong's role and positioning as a two-way platform for "going global" and attracting foreign investment. On the margins of the seminar, Mr Yau led Hong Kong delegates from the finance and investment sectors to meet with the Executive Vice Mayor of the Beijing Municipal Government, Mr Zhang Gong, and representatives of the Beijing Municipal Commission of Development and Reform. A business matching session with over 10 large-scale Beijing enterprises was held. 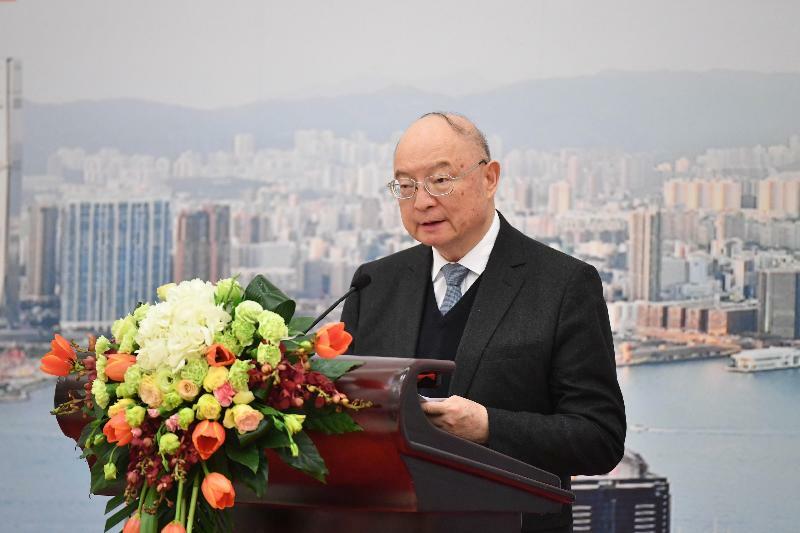 Mr Yau said that Hong Kong, as the key connecting point between the Mainland and international markets and with a sound legal system and key software and hardware, is the ideal base for Mainland enterprises to "go global". The business matching session served as a platform for Beijing and Hong Kong enterprises to exchange views and explore more business opportunities. 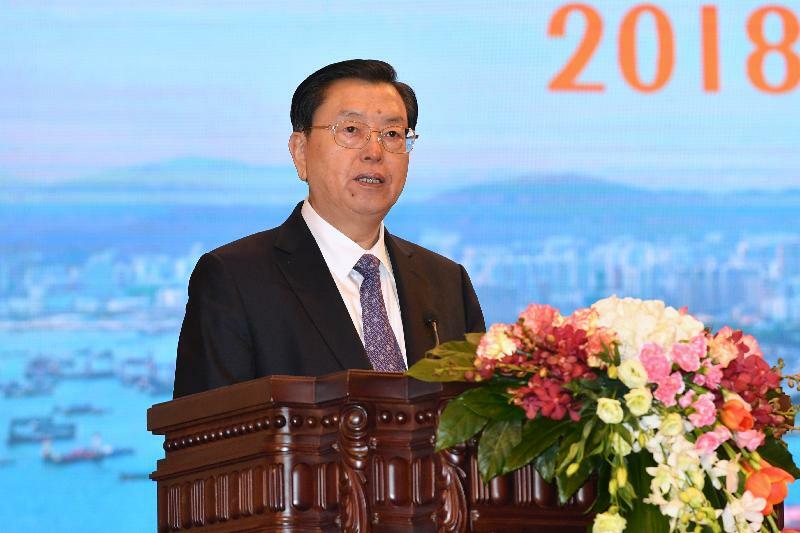 The HKSAR Government will hold a number of business and trade seminars this year to assist Hong Kong enterprises and professional sectors in participating in the Belt and Road Initiative. Today's seminar was the launch event of the series. 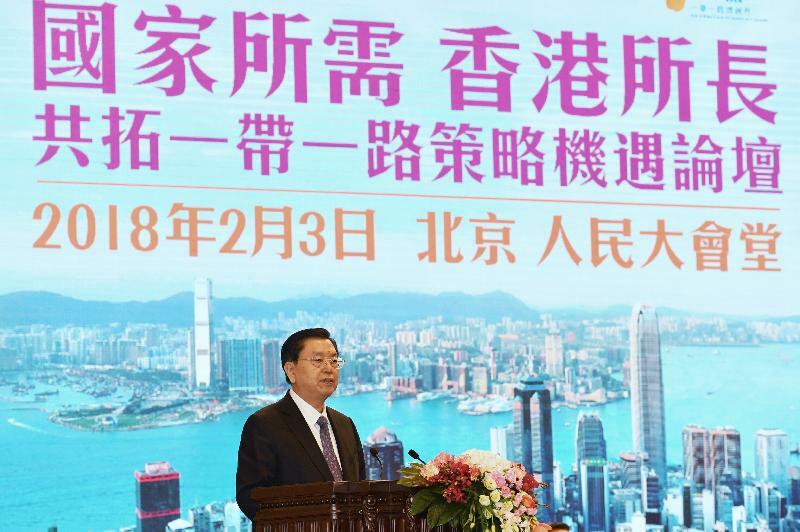 The third Belt and Road Summit and the tourism forum on the Belt and Road Initiative and the Guangdong-Hong Kong-Macao Bay Area will be held in Hong Kong on June 28 and in December respectively.